Selling a property with sitting tenants could be a real deal for sellers as you can list your house on the market when the sale price is on peak and additionally continue to receive your rental income. As good as it sounds, there are multiple difficulties associated with selling a house with sitting tenants. If you are planning to sell your house you’ve stopped by the right place. Tenancy laws and regulations differ from place to place it is best advised to consult with a real estate attorney for clarity of the home selling process especially when it is tenant occupied. If you are planning to sell your tenanted property, do not forget some buyers may be former landlords which means they know the game better than you. Here it is essential to favor your tenant and save the deal from falling apart. In some places, the law favors tenants approximately by 80% which means the owner will be held liable for all the mishaps. Meaning if the tenant infringes any clause or remains in the property post the expiry of the agreement, you’ll be entitled to the obligations legally. In this case, you will have to go to the court and get them removed with all the legalizations. It is not about bribing but sweetening the deal, make an offer that your tenant couldn’t deny. First off, you can cast an eye over other similar properties in your neighborhood to compare the rent. 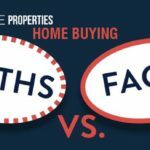 If you find that the digits you’ve been charging are comparatively less, you can offer two times more money including the number of months that are left on the tenant’s lease-of-agreement. To end everything on a happy note and without any interruptions of your tenant you could also pay them the moving cost or you could promise them the next security deposit in the new place. Buyers often ask for a walk-through before buying the house which is why it is essential to serve a notice to your tenants prior to providing viewings. If not done, there are high chances that your tenants might not co-operate. As a seller, you can only conduct walk-throughs if you have it well stated on the tenancy agreement. Legally you will have to notify your tenant in writing, for carrying out a walk-through 24 hours in advance, if you fail to do so, you won’t be able to progress with the procedure and eventually lose a potential buyer. If you miss the specific clause and you have a potential buyer in your favor, the best option is to compromise with the tenant by decreasing the rent to some extent or any settlement that is agreed on the mutual terms. It is highly advisable to maintain healthy relationships with your tenants, if they are not in good terms with you, you might be facing havoc in your sales. If you are a property-owner, selling tenanted properties could be a boon for you as it does not come with a prohibition. 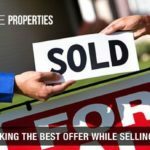 The question that arises is, how to sell a house with tenants? The best way out is to communicate with your tenants and tell them about the whole scenario of selling your property. In such cases, the tenants are entitled to stay in the property until the lease reaches its closing stage. As the situation seems uncertain to many tenants, after reading the clauses they can trespass upon the contract with a mutual decision with the landlord and find another accommodation. If the tenant decides to breach the contract with a mutual decision then he or she is not liable to pay the hefty penalties. If your tenant agrees for you to proceed with the selling process, let them know about the new landlord so they are comfortable with him or her. New landlord means unpredictable conditions; it is highly advisable to let your tenants know about it while you go on with the home selling process. If your tenant has been living with you for a long time, for obvious reasons he or she might be loving the place. This could be a big opportunity for you to sell your house to your tenant. If your tenant agrees to the offer, hiring a real estate attorney would be beneficial during the process. Once the proposal is accepted, there are a few transactions that can likely happen. One-time, non-refundable fee; this allows the tenant to purchase the home within the year at a fixed price, while they keep paying the rent. The lease-purchase-agreement is constructed so, that a portion of the monthly rent is carried down in the down-payment of the house. Lastly, is the seller-finance agreement; here it is required as a property owner your mortgage payments are completely naught. 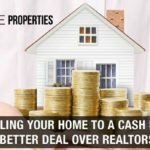 In this case, if your tenant cannot afford a mortgage, the property owner will act as a lender and the tenant would agree to pay the price of the house in a few years, this is called seller-financing. As an advantage from the seller’s perspective, you are receiving interest on the debt plus an extra time to say goodbye to your property. The easiest way out the havoc is to opt for this option. We buy houses for all cash companies buy your house as-is and precede with the procedures of further renting or selling the property. Companies like ours will buy the property from you with or without sitting tenants, if your lease is yet to expire we’ll buy the house with sitting tenants and post expiry sell it to potential prospects. If your home is vacant, then it is a golden nest egg. By choosing this option you are saving time, money and labor of searching buyers. Want to sell a tenanted property, but don’t want to risk losing potential prospects? The best way out is to wait until the end of the lease. 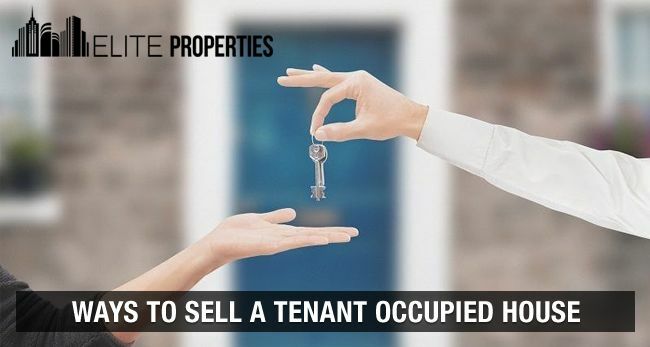 Prolonged lease affects the sales of the tenant-occupied house, the reason being your property sits vacant on the market and buyers back out as your house becomes timeworn. On the other hand if your agreement the early termination clause the tenant is entitled to stay in the house until the lease expires. The safest way out of the chaos is to wait until the lease expires or list your property three months before the lease expires. By doing this, you will be receiving rent until the specified date of the contract also you’ll be building equity for further home-improvement projects which will provide you with potential buyers. If you are thinking to sell your house, keep in mind there is a big market outside. Which means there will be buyers who don’t want to be a landlord wishes to buy it. In such circumstances, you cannot call off the deal before its expiry, and the new buyer has no rights to evict the tenants by any means. Meaning, if the buyer wishes to buy the house, he or she will have to close the deal inclusive of resting tenants. The possible solution to this problem could be - if your tenant breaches any clause of the contract you can favor them by not taking any action and requesting them to be on your side while the process of home-selling. Secondly, you have to conduct a whole lengthy home improvement process when your tenants leave which is a headache to many homeowners. 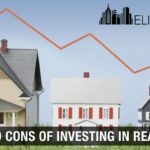 People rent because they cannot afford to buy a house or there could be a high possibility that your tenant might be saving or building equity to buy a house in coming times. As said earlier you can offer to sell your home to the tenants by making a joint agreement. By doing this, you obtain a guaranteed deal with less chaos. Selling a tenant occupied home is always more complicated than selling a vacant home, we hope we have shown you the bigger picture of the story and provided the best possible ways of selling a house with tenants. 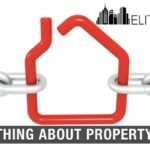 If you are residing in New York and have any query related to real estate you can get in touch with ‘Elite Properties NYC’ we’ll be happy to help you in your stressed time and provide the reliable solutions for your problems.